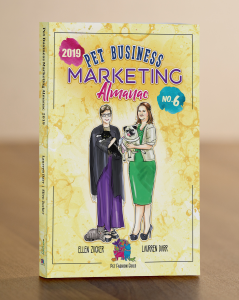 Pet Business Marketing Almanac – 2019 by Laurren Darr and Ellen Zucker is available in paperback from Amazon. Holidays, and Pet Holidays are still included by month, week, and date. Food Holidays and Health/Medical Holidays have been added by month, week, and date. Media / Publications, Pet Industry Organizations, and Trade Shows/ Conferences/ Events have all been updated. One of the most exciting additions is the listing of pet-related Blogs! Monthly Overviews, Fashion Thru The Signs, Long-Term Fashion Trends, and guidance on Void-of-Course Moon, Monthly Lunar Cycles, and Mercury, Venus, and Mars Retrograde. 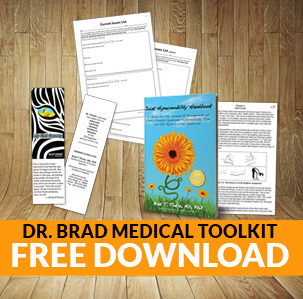 PLUS: Astrological Guide To Your Animals! Laurren Darr finds joy through the bonds created through pet fashion between humans and their pets. She is on a mission to unleash the overall visibility of the pet fashion industry through empowerment of pet fashion professionals. She has over twenty-five years marketing experience and has consulted with companies of all sizes- specializing in trade show marketing. 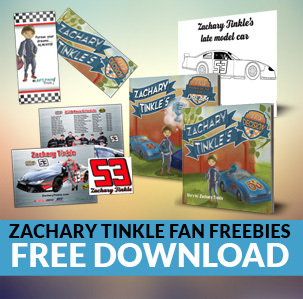 Darr has won over 40 marketing awards and is a #1 best-selling author. More importantly, she’s been a pug lover since her first rescue of White Pines Tuttie circa age five. Tuttie was a magnificent creature that let little Laurren do everything with her. They played together, bathed together, ate together, and slept in the same bed. Most of all, Tuttie was completely happy to let Laurren dress her up, put clippy earrings and lipstick on her, and push her around in a laundry cart. She understands the deep roots and connections created between humans and animals through fashion because of this kinship. Her book about Tuttie, Lipstick On A Pug, won the Dog Writers Association of America Maxwell Medallion for 2015 Children’s Book of the Year. Her publishing imprint, Left Paw Press, has printed numerous books on pet fashion, pug children’s, medical, racing, and coloring. PugDala Coloring Book, a mindfulness coloring book, also won a Maxwell. In August 2013, Laurren combined her marketing experience and lifelong love of pet fashionology to launch the Pet Fashion Guild, an organization created to provide educational materials and tools for pet fashion professionals. She’s been named a “Paw-er Woman” by Fidose of Reality blog and was a 2015 & 16 finalist for Pet Industry Woman of the Year by Women In The Pet Industry. In 2018, Pet Age named her a Woman of Influence. Laurren earned her pet fashion certification from Fashion Institute of Technology (FIT) in New York City in 2015. Laurren now lives in the Racing Capital of the World in Indiana. Her life is busy with her race car driving son, geneticist husband, and the most stylish dog at the race track, Bella.